For some reason my wife Valerie and I tend to gravitate towards restaurants in old establishments. 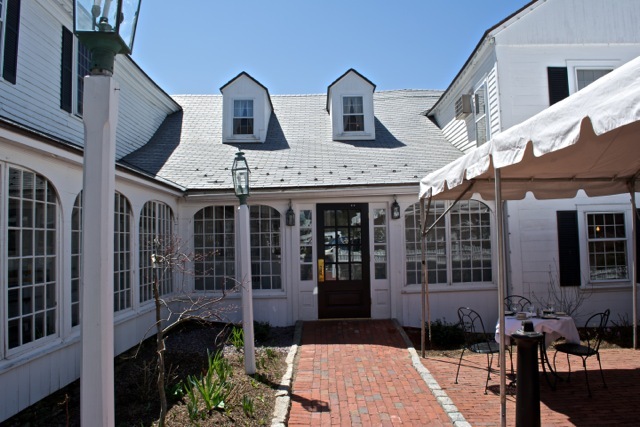 Consider our recent reviews here on FoodieTales for the Daniel Webster Inn and the Olde Pink House. Perhaps its the mystique of a bygone era and imagining what life must have been like back then. The Publick House in Sturbridge MA certainly falls into this category, dating back to the 18th century. We decided to make a couple of special visits for this review. That fact alone speaks volumes about how much we enjoy the restaurant since its about a 90 minute drive from our home. There are two dining rooms at the Publick House which they refer to as the historic Tap Room and Ebenezer’s Tavern. Val & I have stopped at this spot several times in the past and really enjoyed the ambiance and food. 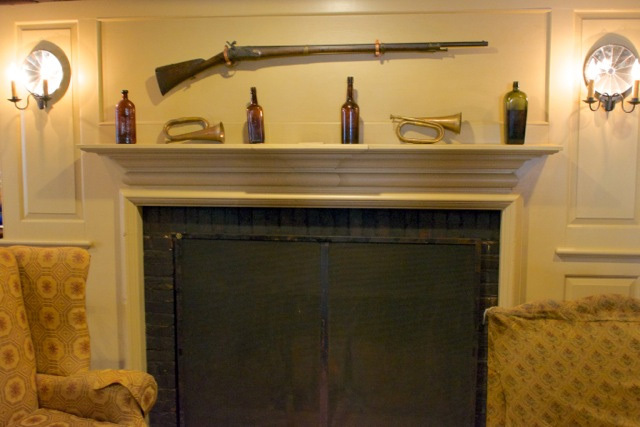 The decor is probably best described as rustic-eclectic. You may be seated in straight-back wooden chairs (comfortable enough) to overstuffed parlor chairs. Tables are of the simple wooden variety sans tablecloths. 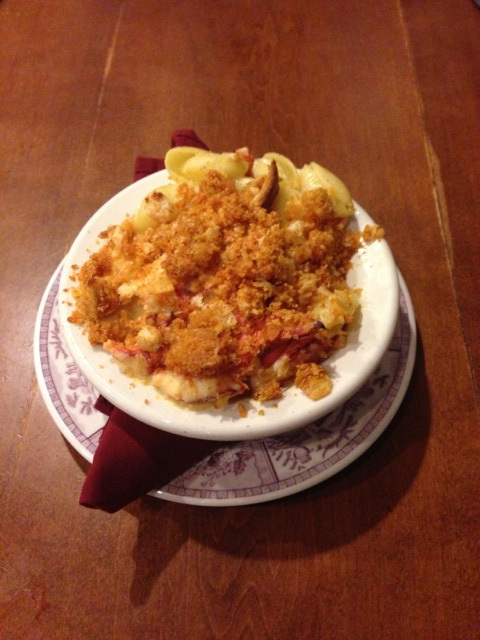 Ok, so now that we’ve set the stage, from past experience here we knew that we were going to have one appetizer in particular, Lobster Mac and Cheese ($15). 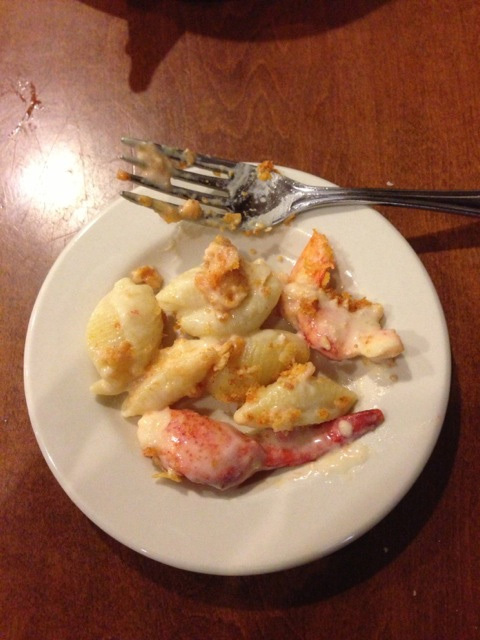 They use real Maine lobster in this dish which is tossed with shells and a sauce made of cheddar and Monterey Jack cheeses. It is baked and topped with a crumb mixture producing a crispy top to a very flavorful, creamy dish. This is on our do not miss under any circumstances list. For those who are really into it, this can also be had as a main course ($30) although I wouldn’t recommend this because it’s a very rich dish. 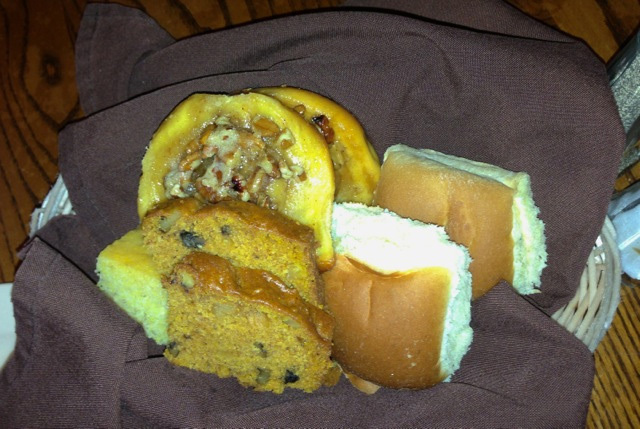 All meals come with a yummy bread basket that includes an assortment of fresh baked breads and rolls. For our main course we chose some traditional New England favorites. 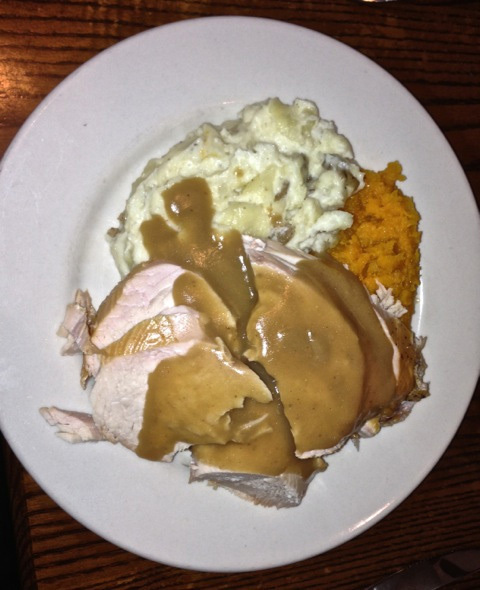 The Turkey dinner ($20) is a simple presentation of sliced (dark & white meat) turkey and gravy with cornbread stuffing, mashed potatoes and squash. It comes with cranberry sauce as you would expect. Its delicious and true to the traditional New England Thanksgiving dinner. We also tried the New England Baked Scrod ($21) and the New England Roasted Duck ($25). 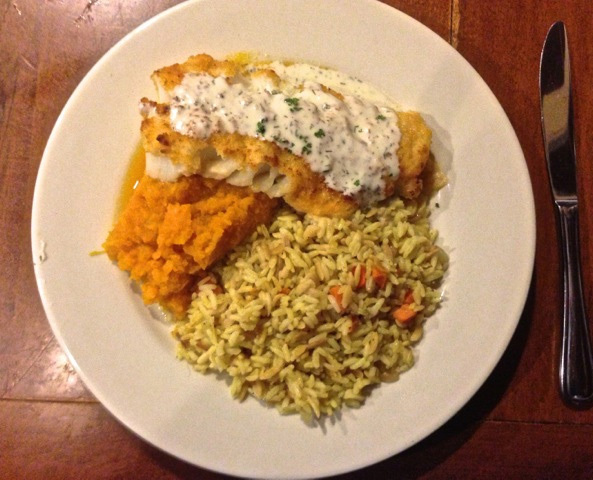 The Scrod has a cracker crumb topping and comes with rice and squash. It was cooked perfectly and is a great representation of this New England staple. The Duck isn’t quite as big a New England tradition, but might just catch on. 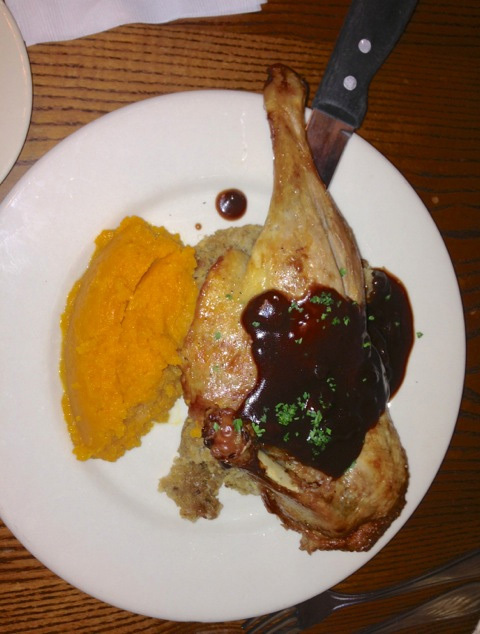 At the Publick House you get a half duck which is topped with a cranberry demi-glace. It comes with the same sausage-cornbread stuffing you get with the Turkey and the ubiquitous butternut squash. OK, so there are some disappointments. Publick House has lots of old-world charm but needs to up its game as far as service goes as, on occasion, we’ve found it to be a bit lax. Long intervals without a visit from our server and drinks going un-refilled detract from what is otherwise an excellent dining experience. In no case has the food been disappointing though. Oh, but please come up with some other vegetable choices besides, squash, green beans or asparagus. Valerie loves these but I’d prefer something a bit more main-stream like corn, peas and carrots. 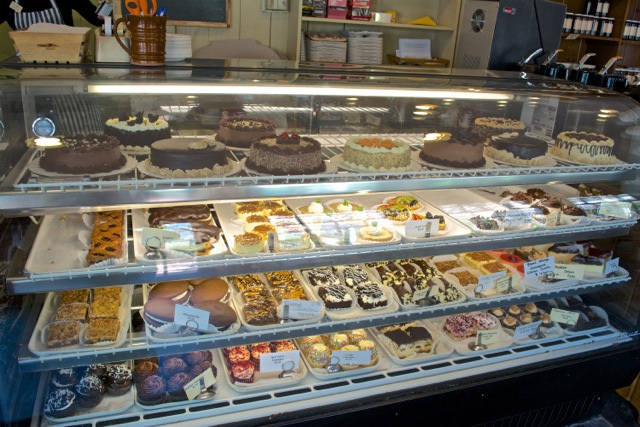 After dinner you have a real dilemma, what to get at the bakery cunningly placed on your way out. 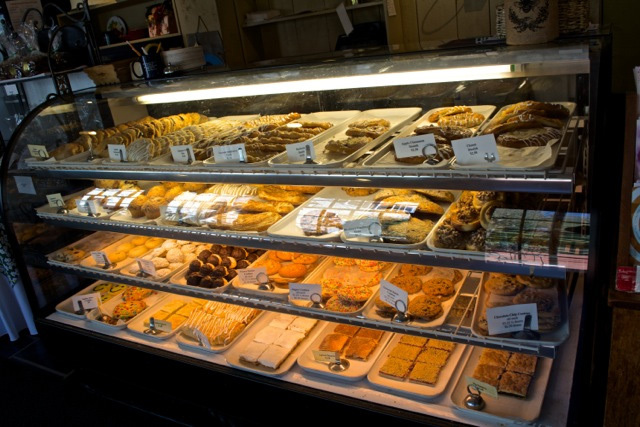 They have a large assortment of fresh baked breads, cookies and pastries. All that we have tried have been very, very good. Some of you may be familiar with Old Sturbridge Village. It is a living museum kind of place where you can learn about how people lived in early New England. Take a look at their web site at http://www.osv.org. Families may want to consider making a day trip combining the two stops for a really interesting and satisfying excursion. You’ll find the Publick House just a short drive from there. This entry was posted in Eat Like a Local, Foodie Tales and tagged Baked Scrod, bakery, bread basket, butternut squash, carrots, corn, cranberry demi-glace, Lobster Macaroni and Cheese, mashed potatoes, Massachusetts, New England Baked Scrod, New England Roasted Duck, peas, Publick House, Publick House Sturbridge, Publick House Sturbridge Massachusetts, Roasted Duck, squash, Sturbridge, Sturbridge Massachusetts, traditional New England Thanksgiving dinner, turkey and gravy with cornbread stuffing, Turkey dinner by Jeff Alves. Bookmark the permalink.